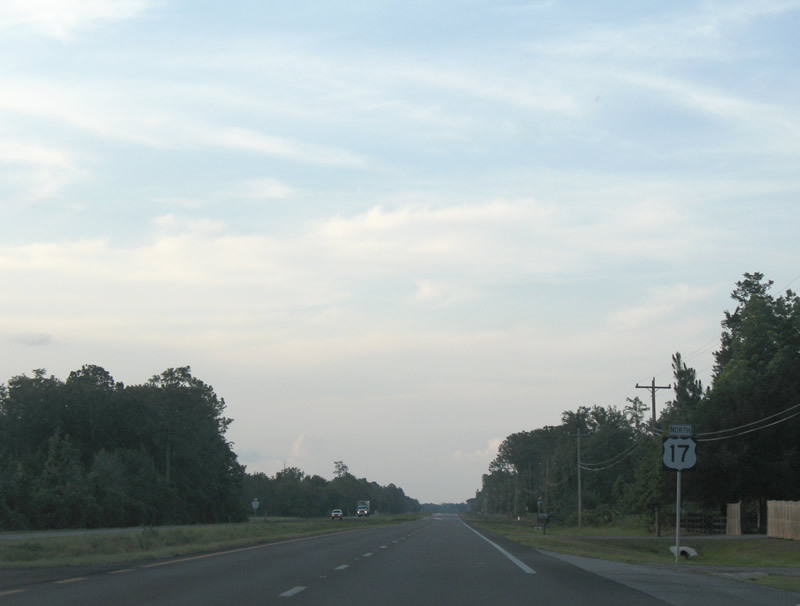 Clay County uses larger highway shields for their numbered routes, such as the first U.S. 17 north marker. Photo taken 06/13/08. 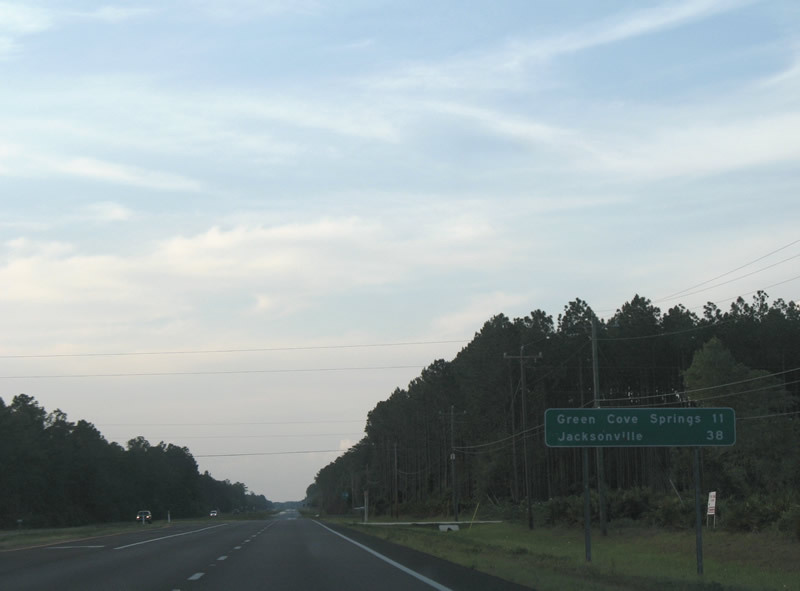 U.S. 17 draws to within 11 miles of Green Cove Springs, the first of two incorporated cities within Clay County along the route. Photo taken 06/13/08. Clay County 214 exists east of U.S. 17 as well, joining the U.S. highway with Clay County 209 near West Tocoi. Photo taken 06/13/08. 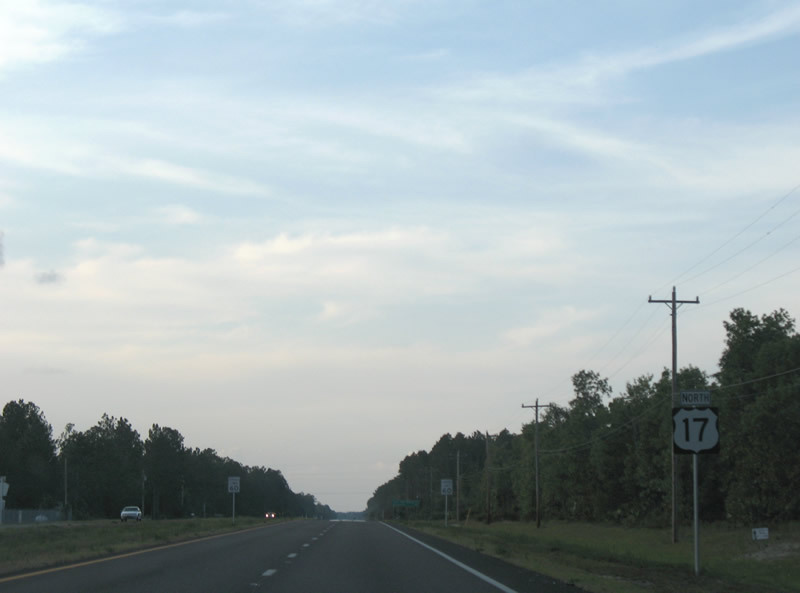 Leaving the intersection with Clay County 214 (Decoy Road) east, is the next U.S. 17 northbound shield. Photo taken 06/13/08. 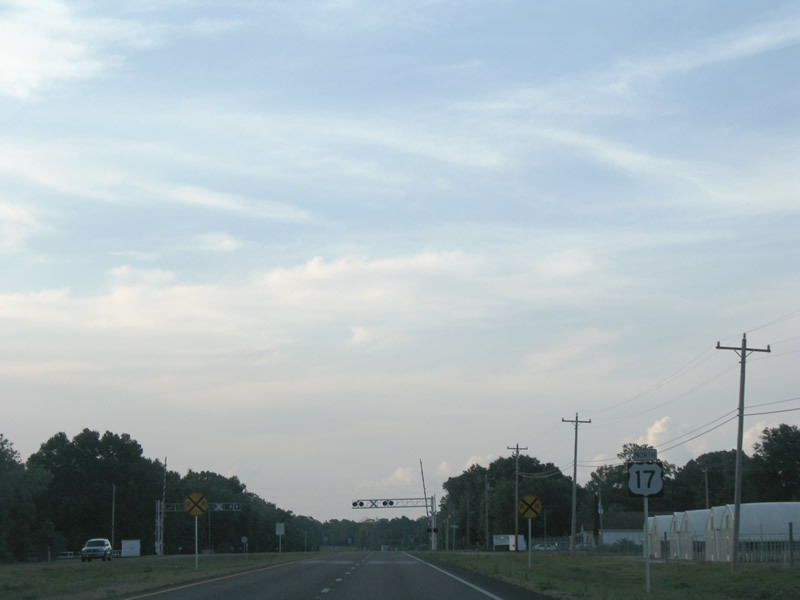 U.S. 17 northbound after Warner Road and before a railroad crossing. Photo taken 06/13/08. 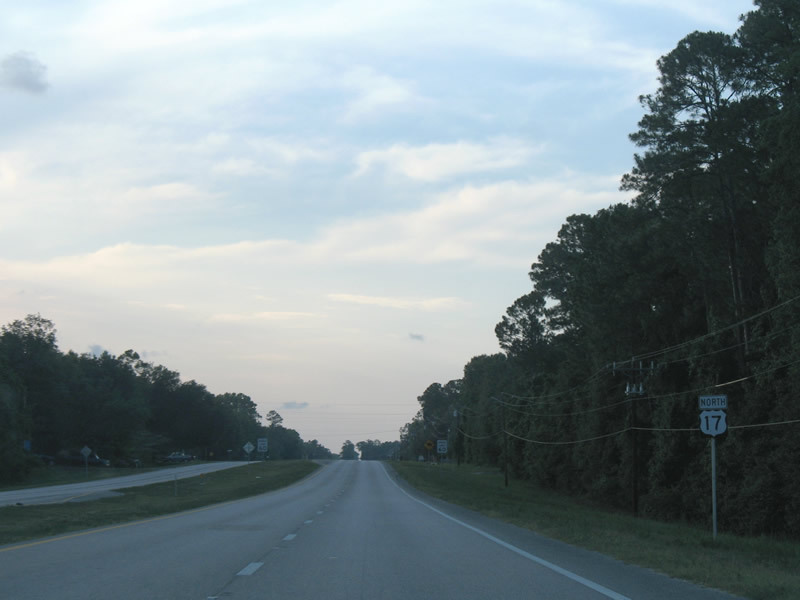 Clay County 226 spurs northeast from U.S. 17 1.77 miles to Clay County 209 south of Green Cove Springs. 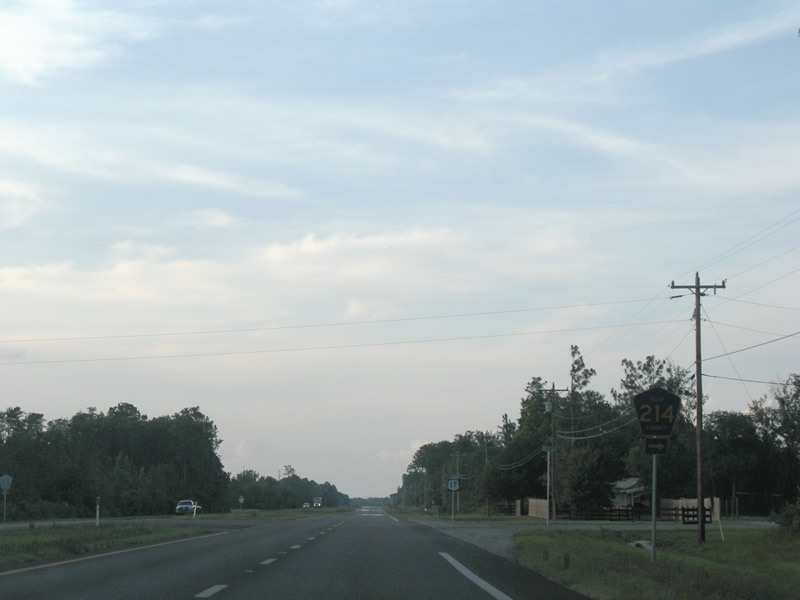 This reassurance marker for U.S. 17 lies after the intersection. Photo taken 06/13/08. Clay County 15A represents an older section of U.S. 17 north along Oakridge Avenue. The county road travels 3.69 miles. Photo taken 06/13/08. 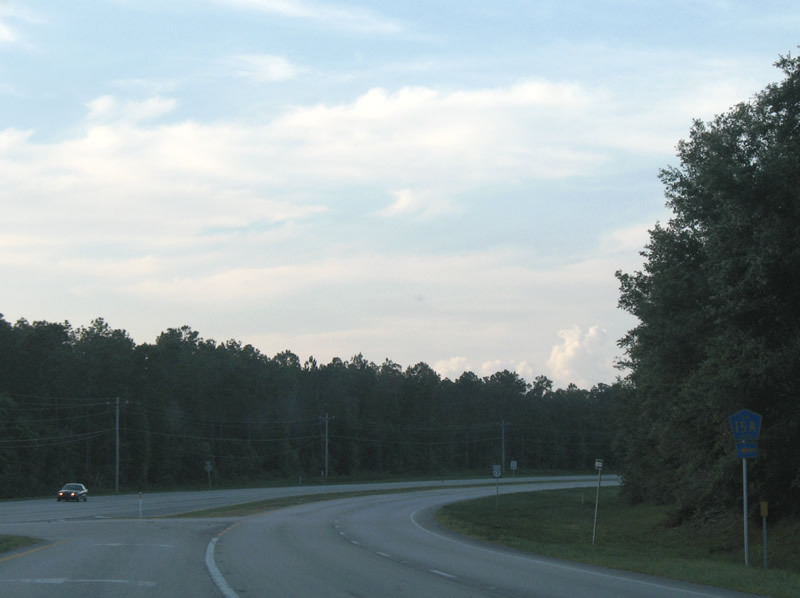 U.S. 17 curves eastward with four lanes from its original two-lane journey via Clay County 15A. 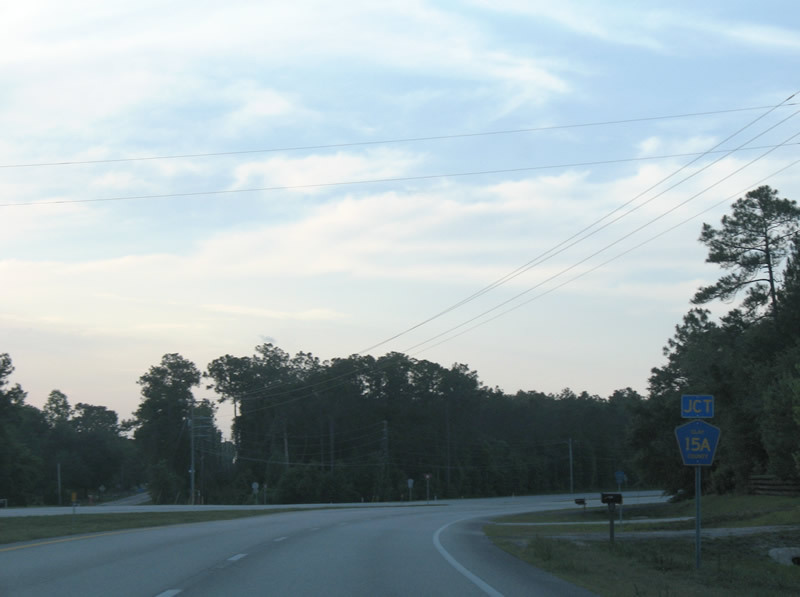 Clay County 15A follows Oakridge Avenue north into western reaches of Green Cove Springs, ending at Florida 16 (Idlewild Avenue). Photo taken 06/13/08. Page Updated October 1, 2008.